John F. Kennedy’s 1960 presidential campaign forever changed the way candidates run for office. When he took on Vice President Richard Nixon, Kennedy realized that he could only win if he made the campaign about himself and not his platform. 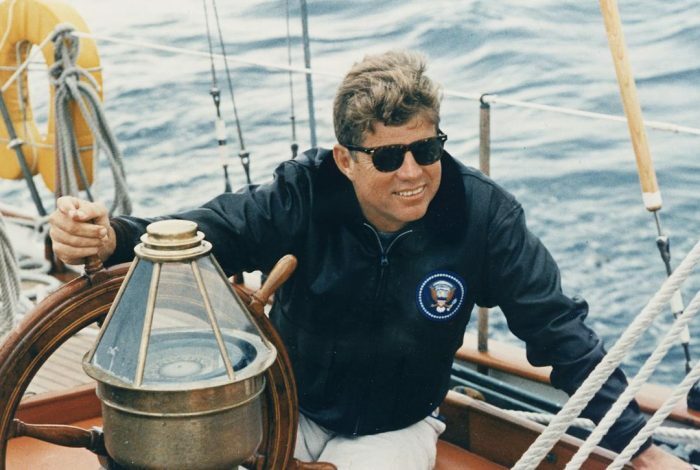 Ever since, candidates across all levels of government and in democracies the world over have tried to replicate the Kennedy model of self-marketing. In 2008, for example, Barack Obama rode his message of “Hope and Change” into the White House. The following documentary shows how it all began: JFK personified excitement and vigor on camera.. Together with his father’s money and clever campaigning, it was the image he portrayed, more than anything else, that propelled him to victory over Nixon. Kennedy spent lavishly, worked the press, lied about his health problems, and used the new medium of television to his advantage. Political positions aside, the parallels to this year’s race are too numerous to mention and make this documentary truly fascinating.